As I have said in the past, it's really hard to find good sushi in this city. A while back my friends and I were downtown and craving sushi. Hoping to find a hidden gem, we checked out a little spot right off of Jasper Avenue. There have been multiple times where I've driven down Jasper Avenue and spotted this little family-run restaurant. The sign is just too cute (for reference, the 'o' in love is a heart instead), and I've been told it's a go-to place for many people downtown given it's convenient location and affordability. 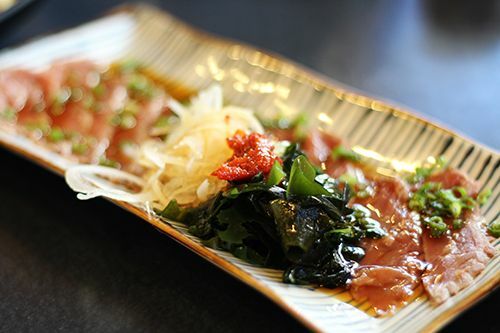 To start off any Japanese meal I usually go with Beef Tataki (small, $9.95) as an appetizer. The beef slices were sliced thinly and served with onions, seaweed and radish for garnish. Unfortunately the ponzu sauce was too sweet for my liking, and I felt that the tataki was pretty underwhelming, considering the price for the amount of food on the plate. 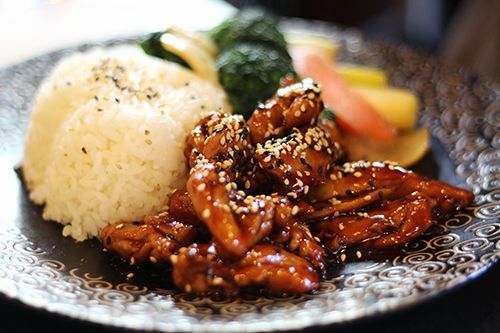 My boyfriend chose to try the Stir Fried Teriyaki Chicken with Vegetables ($12.75), one of their set dinner options. All of the set dinner dishes come with a serving of miso soup, house salad, and rice, so the whole meal is a pretty good deal. The chicken was well cooked and moist, and with all the components considered together, the portion was very filling. 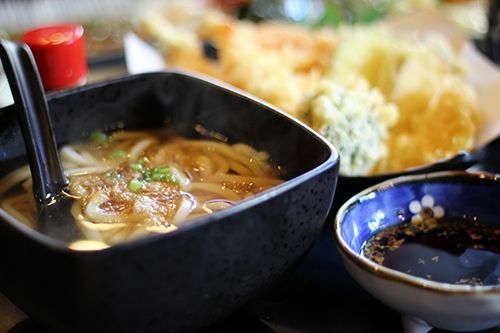 I was in the mood for some warm soup that evening, and chose to try out the Tempura Udon ($9.25). The noodle soup came steaming to the table and the tempura was fried to a beautiful golden yellow. The tempura wasn't overly oily and the sauce was savoury and slightly sweet as expected. Unfortunately the udon was a different story. I found the broth to be quite bland and lacking in flavour, as it didn't have the umami I expect from a dashi stock. The udon noodles were also overcooked and much softer than desired. Friends we dined with ordered some fresh fish options like the Chirashi Don ($14, above), in which the fish was fairly fresh and was a good price for the portion size. 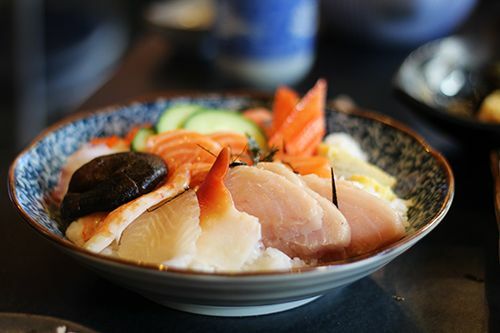 Although I Love Sushi has a great downtown location and very affordable prices for Japanese cuisine, it really isn't a restaurant that I would look forward to returning to. There were some hits and misses that evening, so this restaurant may be good if you're in the area and in need of a quick fix, but don't expect to have your minds blown by high quality fish. Those dishes look so good Andrea! I am not a sushi fan but every woman I date is so I would like to know how you can tell if sushi is good sushi or bad sushi? Oh damn! You're making me jealous! I seriously love japanese food and eat it very often! 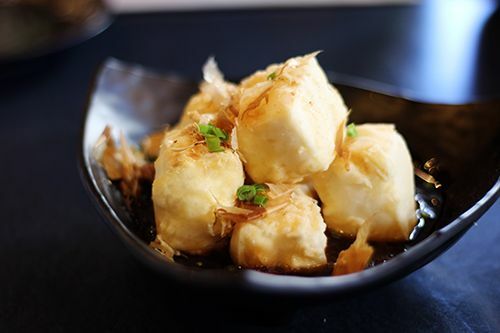 That tofu is my favorite appetizer, I love the crispy thin skin! Also the udon and tempura set looks fantastic! Please visit my blog soon! 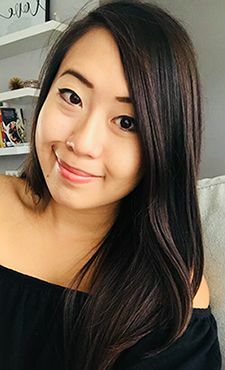 I'm holding a beauty giveaway!